Im waiting to get mytruck in for service for over a month. The dealer is really busy and short on loaners. This is starting to give me time go think about the 6.2L. My 6.7L has something wrong that causes it to run noisy, marble-knocking, pinging, rattling any time i drive it. 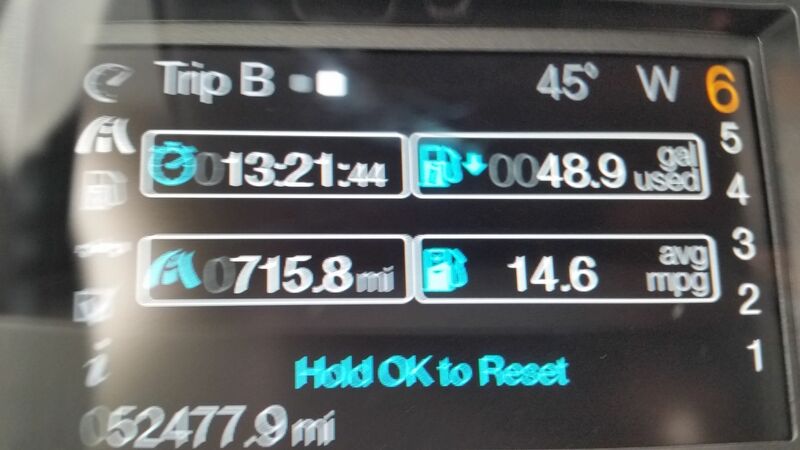 Fuel economy has dumpedto 14-14.5mpg. I really only need the smoker for pulling our 10,000 lb. Travel trailer 12x a year. Even if the 6.2L only nets 13mpg for me, its only$700 additional a year for gas. Thats a far cry fron $8000 for the smoker. Kind of chicken to order one without driving one. And as a daily driver, im not sure what to expect. 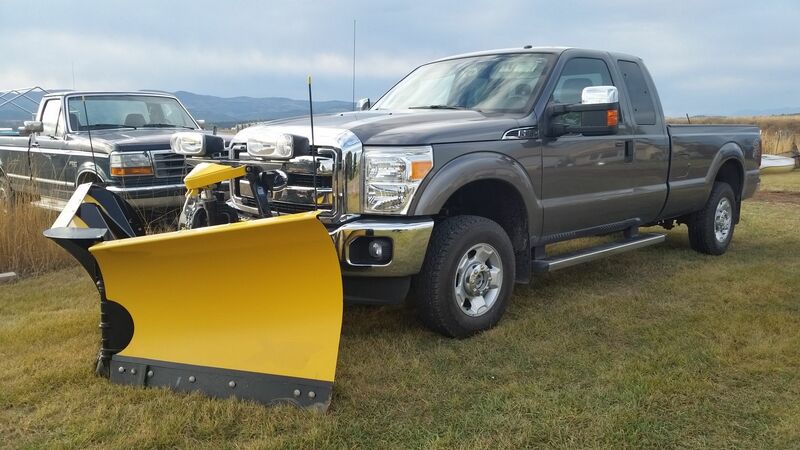 FYI....2011 F250 4x4 3.73, 18" wheels I get 10.7mpg pulling 24' boat 65mph on NYS thruway...and it's a little hilly too! Thanks to all who are posting on this thread. I traded a 2001 F-250 SB CC XLT 5.4L in 2 years ago on a Dodge 1500 5.7 CC, and have regretted it ever since. The F-250 was just for groceries and doc's office and Momma's daily driver. It got 12 or so around town and 15 on the road, always driven geezerly by me or Momma... never over 65MPH. My other truck is 2001 F-350 CC Lariat DRW LWB 7.3L (198K miles) used to haul an RV. I recently downsized from 12000# 5'ver to 7500# travel trailer and am considering a 2015 F-250 CC SWB XLT 6.2L truck. I'm pleased to see that the 6.2L has handled a 10K 5'ver in some hills. Thanks to Iggy from AZ for the info. I'm still on the fence about letting go of my old 7.3, still smarting from my move to Mopar and ensuing disappointment. But thanks to all for the info. 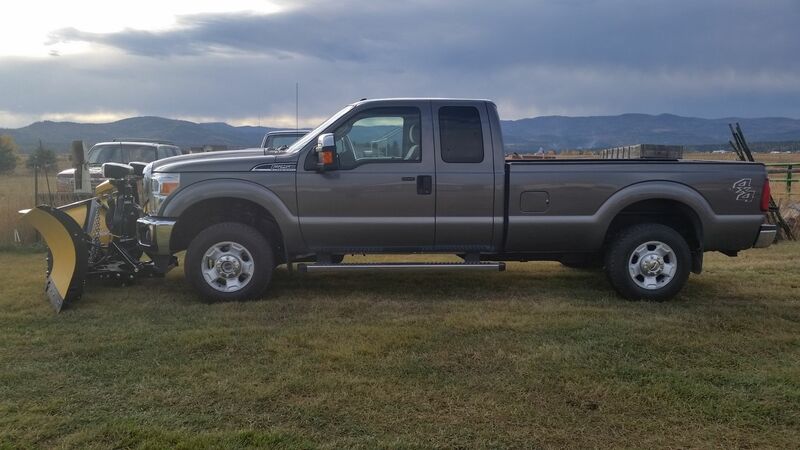 2001 7.3 F-350 Dually Lariat CC LWB 4X2 Dark Green 4.10 4R100 5'ver Hauler (32' Montana 2 slides 10,500# - 2,000# tongue weight), 106 gal aux tank, 198K miles, nephews arguing over who will inherit it 'cause I'm gonna' drive it 'til I die. Bone stock. Don't let go my friend don't let go. Update,Upgrade,Sound Proof. On relatively flat ground @ 65 mph I could get about 16mpg. Over 70 mph about 14.5 mpg. Remember I have a 4x4 short bed with 3.73 gears. In town daily driving I get 12 - 12.5 mpg on reg gasoline. In town on E85 I get 10-11 mpg. I'm told my mpg my go up a bit more when I get over 10k miles but I don't think it will be that much. Last edited by coolfords; 10-25-2014 at 05:39 PM. These trucks are bricks compared to the 150 and heavier so these numbers aren't surprising. More fuel to go faster because of bad aerodynamics. Thinking about a 6.2 with 430 gears and am watching for any experiences. 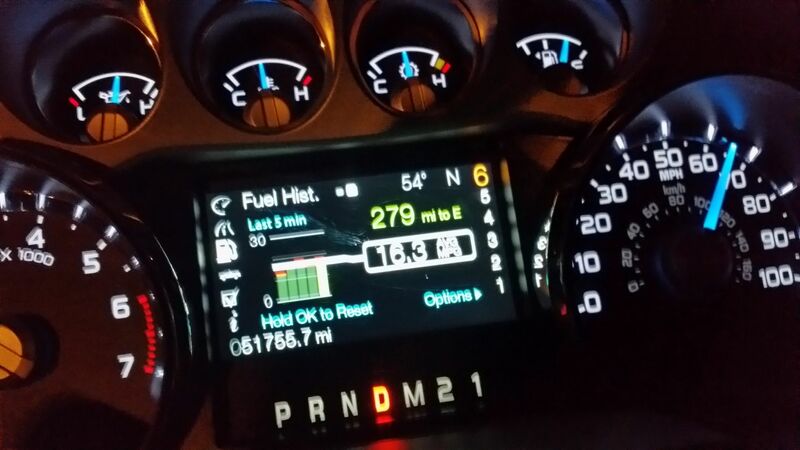 I owned a 2011 F250 6.2 CCSB with 3.73 axle and was only getting around 11.2 mpg, 7.8 when towing 7500lb trailer. Had the hard 2-3 shift while accelerating down an on ramp while towing my trailer and thought I lost the rear end. Bought last May & traded this July. Not sure if you all have good ones or I had a bad one but I expected a little better mileage.